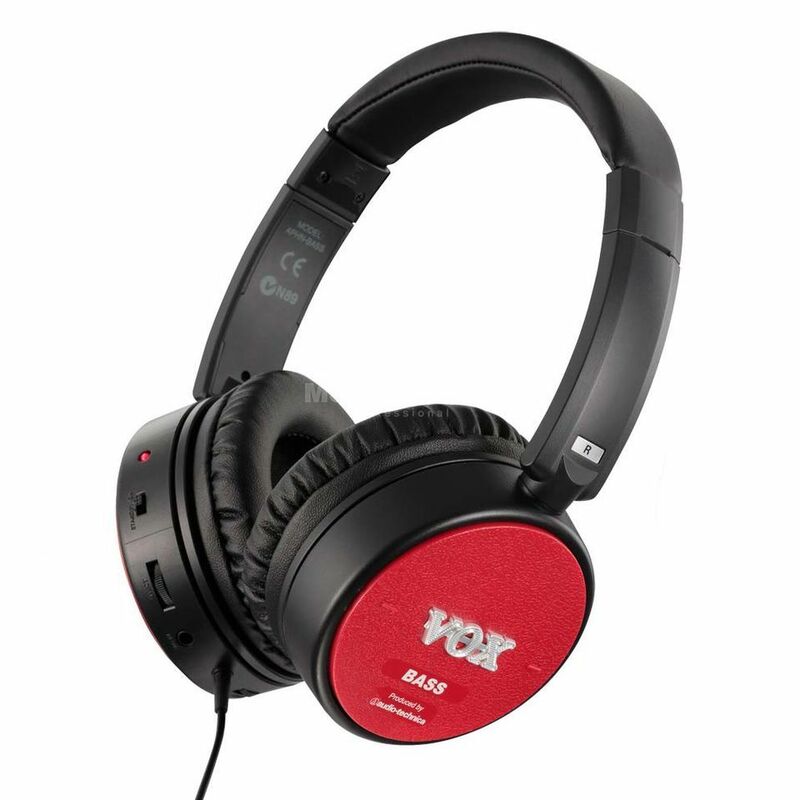 The VOX amPhones Bass is an innovative new product incorporating VOX's AmPlug technology in a pair of Audio-Technica headphones. The VOX amPhones Bass provides the sound of a bass guitar amp in your ears and, through a pair of high quality Audio-Technica headphones, users can practice comfortably without disturbing those around them. The VOX amPhones headphones can be plugging directly into the output jack on any bass guitar. As well as modelling the sound of a bass amp, the amPhones Bass also features a compression effect, providing brilliantly versatile sounds. There's even an aux input on the amPhones to plug an MP3 player in for jamming with tracks. With a dedicated controls on the amPhones, there is no clunky remote control or addition equipment needed. When the power of the amPhones has been switched off, they can be used as a standard pair of headphones, ideal for studio use and everyday listening.